Paul Madonna's popular comic, "All Over Coffee" had been running for twelve years in the San Francisco Chronicle when he was evicted from his longtime home and studio in the Mission District, ground-zero in the "tech wars" transforming the city. 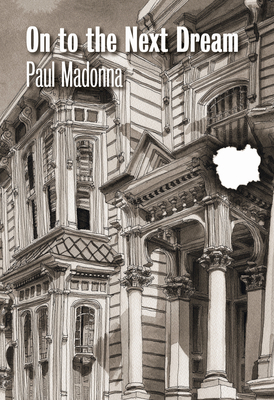 Suddenly finding himself yet another victim of San Francisco's overheated boomtown housing market, with its soaring prices and rampant evictions, Madonna decided to use his comic as a cathartic public platform to explore the experience, and to capture the complex, highly charged atmosphere of a city--and a life--being forced through a painful transition. In a series of drawings and stories, Madonna evokes the sense of vertigo induced by being forced from his home, and the roil of emotions that ensue as he enters into the city's brutal competition for a place to live. The line between reality and surreality begins to blur almost immediately, in real life and in his comic. Absurd, maddening, and all-too-poignant, these drawings and stories capture the spirit of not just San Francisco, but a cultural epidemic that has now spread to cities around the world. Paul Madonna is a San Francisco-based artist and writer. He is the creator of the comic series "All Over Coffee" and the author of two books, All Over Coffee and Everything is its own reward. His drawings and stories have appeared in numerous books and journals as well as galleries and museums, including the San Francisco Contemporary Jewish Museum and the Oakland Museum of California. Paul Madonna is a San Francisco-based artist and writer. He is the creator of the series All Over Coffee (San Francisco Chronicle 2004-2015), and the author of two books, All Over Coffee (City Lights 2007), and Everything is its own reward (City Lights 2011), which won the 2011 NCBR Recognition Award for Best Book. Paul s work is about pairing elements: text and images; concept and craft; thought and beauty. Paul s drawings and stories have appeared in numerous international books and journals as well as galleries and museums, including the San Francisco Contemporary Jewish Museum and the Oakland Museum of California. He is the Comics Editor for TheRumpus.net, has taught drawing at the University of San Francisco, and frequently lectures on creative practice, even when not asked. He holds a BFA from Carnegie Mellon University, and was the first (ever!) Art Intern at MAD Magazine (1993-94), for which he proudly received no money."